Russia has fined Google US$6.8 million for preloading some of its own apps on Android smartphones, in violation of the country's antitrust laws. Google, also facing antitrust investigations elsewhere in Europe, favored its own and its partners' apps in the "priority positions on the home page" of devices the Android operating system, creating a disadvantage for other apps, Russia's Federation Antimonopoly Service said Thursday. The ruling will provide "an opportunity for the development of competition in the mobile software market in Russia, which will benefit our customers," the agency said in a statement. 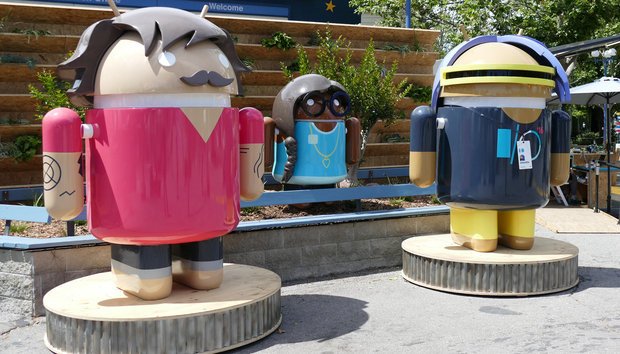 In September, the Federation Antimonopoly Service found that Google had abused its market dominance with Android, in a ruling setting up the fine. The antitrust authority opened the case in February 2015 following a complaint from Russian search engine Yandex, which also develops mobile apps and runs its own Android app store. A Google spokesman didn't immediately respond to a request for a comment on the Russian fine. The fine represents a tiny percentage of Google's revenue, which totaled $74.5 billion in 2015. Nevertheless, the company has faced a handful other antitrust probes in Europe and elsewhere, including an Android complaint filed by the European Commission in April.